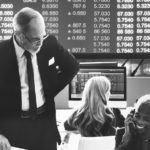 In this post I’m going to talk about 10 of the best, free trading tools for online stock trading (plus one extra thrown in). I will also provide a brief overview of how to use them. Please note that I have no direct relationship with any of these companies or products and I am providing no affiliate links to any of the tools in this post. I simply describe them here because these are my favourite tools and the ones I use in my every day trading! I think Finviz is the best free stock screener online, simply because it has the largest number of filters. If you click on the screener there are over 60 filters that you can use to screen for stocks and almost 7000 stocks in the database. I usually create different screens and then save them as presets. Once you’ve done that you can also export the data and load it up in Excel. For example, I might want to look for cheap, dividend stocks, so I might set the PE to be lower than 25. And I might set the PEG ratio to be less than 1, and set the dividend to be greater than 2%. As well, I might want a stock that has been growing earning consistently so I might set 5 year EPS growth at 10%. You can even narrow down stocks based on chart patterns, such as wedges, triangles and channels. Already, you can see that the list of stocks has come down to just 42 companies. 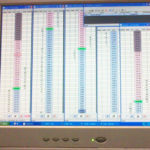 You can then save that particular screen as a preset or export the data out as a CSV file. 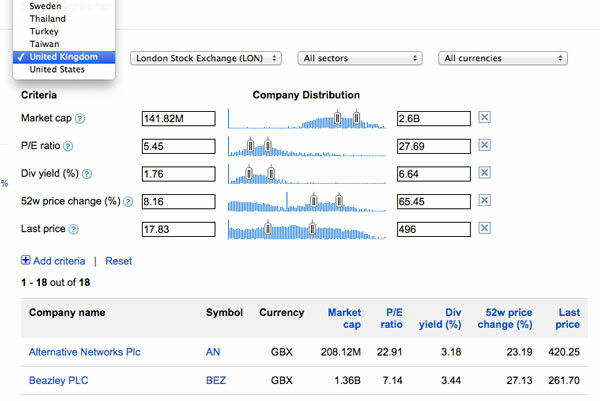 And if you click on any of the stocks you’re taken to a new page that shows all the information for that stock. Scrolling down this page allows you to see recent analyst ratings and news releases that relate to the company. Now Finviz is a great stock screener but you must remember that it’s still free, and the numbers are not always accurate. When you find a company you like it’s always best to double check the data by going to the company website or to the SEC website as these sources will have the most accurate numbers. The concept behind GuruFocus is to provide investment ideas based on what famous investing gurus are doing. Gurus such as Warren Buffett, John Paulson, Joel Greenblatt and George Soros etc. But there are plenty of ways to use the site even if you’re not a value investor. Again, some information is locked away to paying members but there is enough free stuff that we can use for inspiration. Straight away, we can navigate to ‘List of Gurus’ on the main menu and take a look at all the Gurus available. Immediately we can see Carl Icahn, Charlie Munger, Bill Ackman and others. It’s also possible to filter the list down based on investment vehicle, country, numbers of stocks, total value, return and turnover. For example, if you were to bring down the numbers of stocks filter you’ll see how Bill Ackman is carrying less than 10 stocks at the moment. Let’s take a look at the screener which you can access by clicking on ‘Screener’ and then all-in-one. This gives us the most number of variables which we can use to screen for stocks. So if we start moving these around we can narrow our focus and find some trading opportunities. I normally screen for cheap value stocks based on criteria relating to earnings so I can plug in a few things here. And in my course, How to Beat Wall Street, I talk about an 11-rule Graham value system that has produced strong returns over the last 15 years. However, as you’ll see when you update the screener, the stocks are blurred out because this isn’t the premium version. But there’s a simple solution and that is to load up the Google Screener and find the stocks on there. For example, the first one here is trading at a price of $6.34 so just put that into the Google screener. So on Google we just add criteria and add the last price. Input the price level and market cap and we’ll be able to match up which stock it is. The last thing I want to show you on GuruFocus is the DCF valuation calculator. DCF stands for discounted cash flow and is considered the theoretically correct way to value a company. The calculator on GuruFocus provides a quick and easy way to calculate DCF and find out whether there is any margin of safety. So in this example I’ve brought up Apple and you can see that the DCF calculator is giving Apple shares a 41% margin of safety. And that’s based on a terminal growth rate of 4% and discount rate of 12%. The calculator also assumes that Apple will grow EPS at 20% over the next 10 years – which is fairly optimistic! You can change these inputs in order to come up with different estimates. For example, you might prefer a more conservative discount rate of 11%. And since growth is subjective you may want to put in your own estimates of earnings growth for the company; for example 10%. Naturally that changes the calculation and gives the company a different margin of safety. And by the way, a larger margin of safety typically indicates a much safer buy. You might be wondering why we need another screener if we already have Finviz and GuruFocus. Well the simple answer is, with the Google Screener we can screen across a whole load of different countries, not just the US. But bear in mind, the data is going to be less accurate for companies outside the US and Google does not recommend trading off this data alone. Even so, the Google screener is simple and effective and has a good number of filters. All you need to do is add a criteria or ratio and then adjust the bars for low and high. As a side note, if you ever have problems getting the screener to update properly, try logging out of your google account. For some reason this seems to fix the issue I don’t know why. 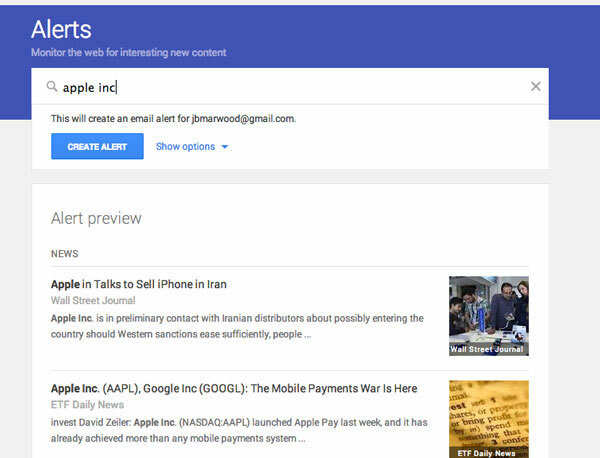 Another Google tool I like is Google Alerts and this is particularly useful if you have a portfolio or want to keep a watch list of different companies. The basic idea is that you tell Google what keywords you are interested in and Google will send you an email whenever that keyword has been mentioned on the web. You can specify how often you want to be emailed – as it happens, once a day, or once a week – and you can choose the quality of the alert you want to receive. For example, you might want to only receive alerts that come from higher quality sources not random blog posts. To get started, simply go to google.com/alerts and add in some keywords or names of companies. I find that it’s better to add in the full name of the company, for example Apple Inc as opposed to just Apple so you get fewer results. Right now, I’ve set up Google Alerts to alert me whenever one of my stocks is mentioned on the web. The advantage of this is that whenever an important piece of news comes out for one of my companies I’ll get an email about it. I can then make a decision on what to do next. As an example, one time I received an alert about Inteliquent Inc ($IQNT). The news story indicated that some insiders had just sold a decent portion of shares, which is normally a bearish signal. Because I was already quite uncertain about the stock, this news was enough for me to close the trade and take my profits. The alert proved quite timely because the story didn’t seem to hit the other news channels for a couple of days. There was also no mention of the story on my Seeking Alpha portfolio page which was kinda interesting. 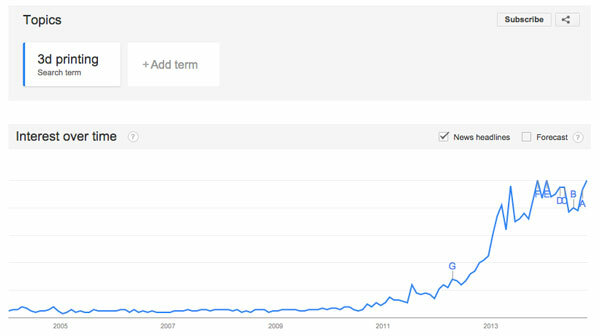 I think Google Trends is quite an interesting one. You can get there by going to google.com/trends and you can see what people have been searching for over time. I remember reading a study last year which showed that selling the stock market whenever the term ‘debt’ was trending would have made during the financial crisis. I actually think the study is flawed (and you can read more about that here) nevertheless I think Google trends can be useful for identifying new markets or sectors. For example, the search term ‘’newspapers’’ has been trending down for the last 10 years while ‘’3D printing’’ has been in a sharp upward trend. There isn’t a great deal of evidence but this kind of data could be used to identify macro areas to invest in. Or to jump on board big consumer trends and the companies that may benefit from them. 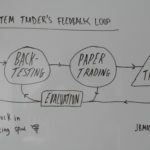 So I’ve talked about some online trading tools to help you trade but what if you’re stuck for ideas on exactly what trading methods are profitable? Well, one idea is to have a look at SSRN which is the homepage for the Social Science Research Network. This is a fantastic resource of academic papers in the social science sphere and if you look hard enough you can find some really interesting material. To get started, simply type in some keywords into the search field. 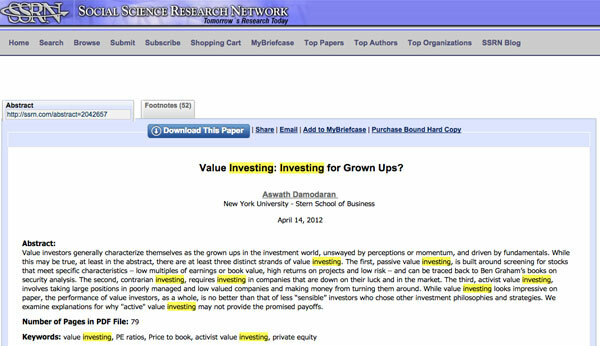 For example, a search for the term investing brings up over 4000 papers. You can narrow down your focus by adjusting the date field and using more specific keywords. You can then go into a paper that looks interesting and read the Abstract to see what it’s all about. And you can also see who wrote the paper. If you want to read it further simply click Download this Paper and you’ll be able to download it straight to your machine as a PDF document. The Seeking Alpha website is a fantastic resource for stock market news, analyst research and trade ideas. And anyone can become a contributor to Seeking Alpha which means the site really has a lot of content and provides a tremendous amount of coverage on US stocks. If you’re tossing up buying a particular stock, you can chuck the ticker into the search field and chances are there will be at least a couple of recent write-ups. You can then read these as a base to do further research or to gain more ideas. Many times, these articles will be bias-free and written by professional or independent analysts. There are a lot of good writers on Seeking Alpha and some great in-depth articles that you can’t find elsewhere. That being said, the Seeking Alpha floor is open to all so you do need to be diligent when reading other people’s opinions. And if you do have a difference of opinion, Seeking Alpha encourages you to write your own article in response. And if your article is accepted you’ll be paid upwards of $35 too. One tip that I can recommend when reading an article on Seeking Alpha is to always check the comments section. You can sometimes find some really insightful comments there, often from investors who own the stock themselves. Sometimes the comments can be more useful than the actual article itself. So always make sure you read the comments and chip in when you can. Another tip that might be useful to you is to use the Seeking Alpha website to pick out PRO articles. PRO articles are given special acknowledgement by Seeking Alpha as being the best written in terms of depth-of-research. So in theory, these articles are much higher quality. Some may even be able to move the market after they’re published. 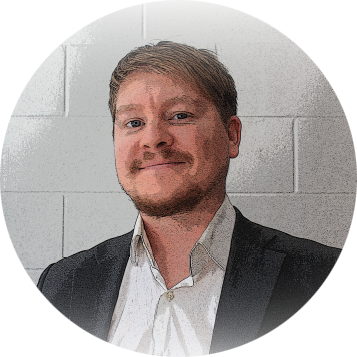 The writers of PRO articles are paid significantly more and the articles themselves are normally only available to PRO subscribers – a membership which costs upwards of $2,000 a year. However, Seeking Alpha allows PRO articles to be viewed for 3 days after first publication. (Though members do get to see them first). So, what you can do is click on ‘Latest Articles’ then ‘Top Ideas’ and you’ll see a number of the latest PRO articles that have just been published. 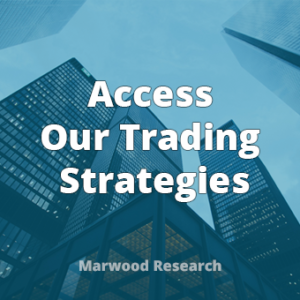 Give them a read and you’ll soon find some interesting trade ideas that you may never have come across. 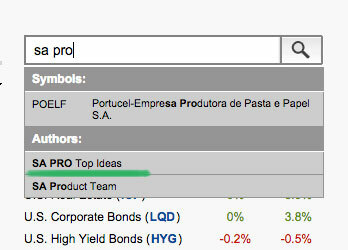 The other thing you can do is to search for ‘SA Pro Top Ideas’ in the search field. 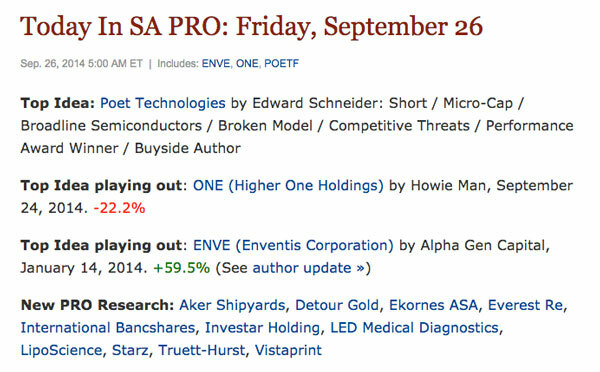 Click on ‘Today in SA Pro’ and you’ll be able to read all the latest PRO articles on the Seeking Alpha website organised by analyst/research team. Click onto the analyst name and you can go straight to the pro article. The Trading Economics website is an excellent resource for analysing country specific economic data. 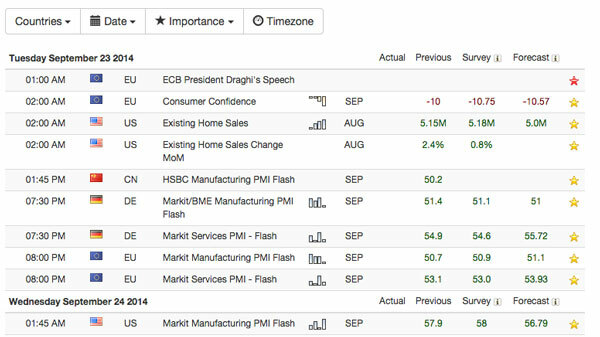 It provides event calendars, economic forecasts and makes it easy to see an overview of global markets. Like many of the best free trading tools, the Trading Economics website has a members section which is paid for. But there is still a huge amount of information that is completely free to use. 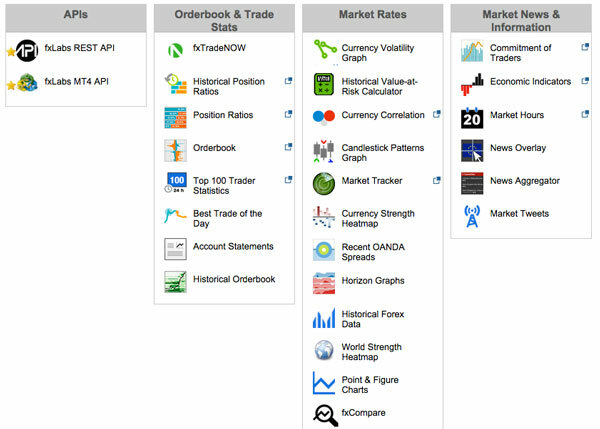 The home page of Trading Economics is set up to give a nice overview of the major economies. 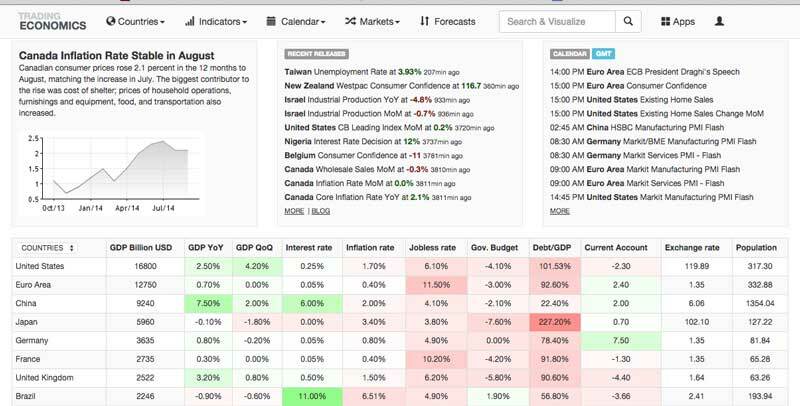 For example, you can quickly see the recent GDP, inflation and unemployment numbers and these are all colour coded and sortable. It’s also possible to navigate through to any country you like and see it in more detail just by clicking on the country name. One thing I like to do is to sort the current account column, which explains the relationship between exports and imports for a given country. Current account deficits that are worse than -5% can indicate instability so I would definitely stay away from these countries. Often, a current account deficit worse than -5% will lead to major economic stress and a currency crisis. Another thing you could do with this data is form your own ranking table. If you trade forex for example, you could set American economic data against Euro data. You can then try and predict where the currencies might head over the next couple of months or years based on how the economies shape up against one another. If you don’t want to work that out for yourself you can also take a look at the forecasts page where you can see predictions for a whole load of indicators and markets. For example, if we click on currency we can see forecasts stretching out to 2030. As you can see from this, the Australian dollar is trading at 0.89 against the US dollar at the time of writing. It’s predicted to rise to 0.93 by the fourth quarter and to 0.97 by 2020. 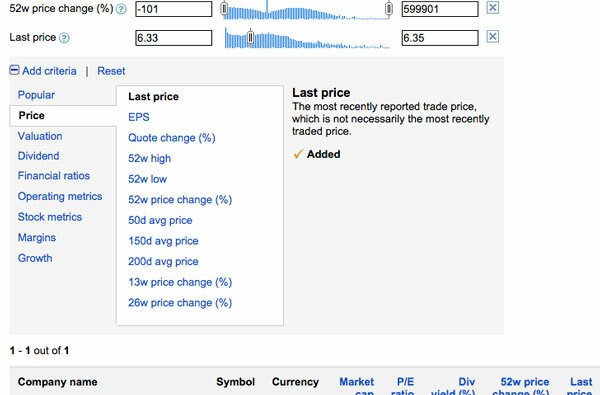 Clicking on the small cross gives some information about the market and brings up a price chart. Clicking on News just to the right brings up a list of recent events. The other thing we can look at on Trading Economics are the calendars and these are perfect for planning your trading day or week. As you can see, the calendar shows all the economic events and news releases that are taking place across the world. Of course, most news events aren’t important so you’ll want to filter the calendar by country or by importance. Doing the latter brings up the events that are most likely to move markets. A yellow star means the event is strongly relevant while a red star indicates a big, market moving event. 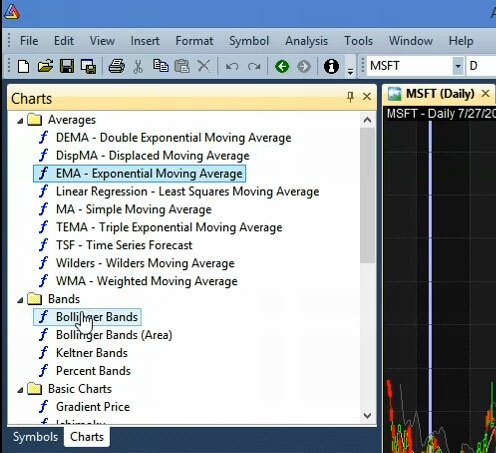 You can now see the time of the event, the analyst forecast and the previous number. You can also hover over the chart to see the recent trend. There’s a fair bit more you can do on Trading Economics and it’s worth taking your time to look around and explore. Some forex brokers are no more than white label products which carry expensive spreads and hidden commissions. The one broker I do recommend is Oanda, mainly because they’re a big, established player in the forex market with good support, a range of currencies and tight spreads. They also have an excellent demo account and a load of free tools. Once again, I have no affiliation with Oanda, this is just my own personal opinion. So let’s take a look. From the Oanda home page, we can easily do some currency conversions which is useful if you’re going on holiday but not that useful for trading. But what is interesting is if we go right down to the bottom of the page and click on Forex Lab Tools. That opens up a whole new section of tools that you can experiment with. Now, I haven’t looked at all of these but one I do like to look at is the Forex Open Position Ratios. The chart on the left gives a breakdown of all open positions held by Oanda traders and this is updated every 20 minutes. 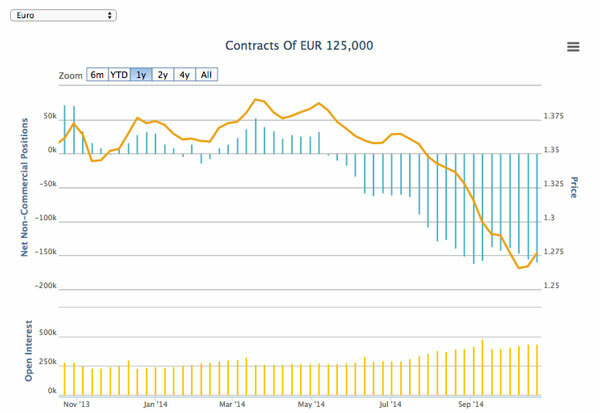 So, for example, you can see that 54% of open positions in EURUSD are long positions and the rest short. And 52% of open positions in USDJPY are long. So how can you use this information? Well, you probably can’t trade off it alone but it might help your decision making process. And I tend to find that when a currency enters into extreme territory, ie, there are less than 25% or more than 75% of open positions on any one side, it signals too many traders on one side of the market and a reversal is often round the corner. 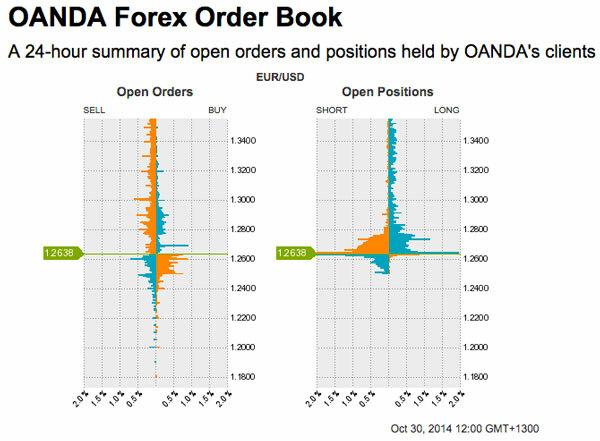 Another useful tool is the Oanda Orderbook and this shows all open orders and open positions on the right. Again, this is for Oanda traders only so it doesn’t represent the whole forex market but since Oanda are a large broker it’s a decent representation. Like the open position ratio data, this information seems to work best at extremes. When you see a lot of orders on one side of the market, it suggest there’s an imbalance and that one side of the market is lacking support from traders. Another tool that’s nice is the Oanda traders statistics and here you can see the information for the top 100 most profitable traders on Oanda over the last 24 hours and also the least profitable. So immediately you can see that 27% of the most profitable traders are trading EURUSD. And 84% of those are trading on the short side. 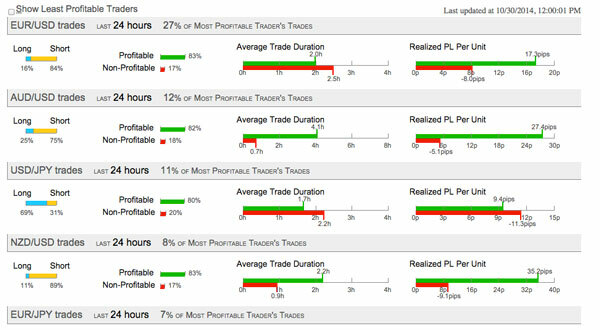 What’s also clear from this is that profitable trades are nearly always longer in duration than losing trades. Going back to the labs page and there are some more tools available such as currency volatility graphs, historical spreads and point and figure charts. 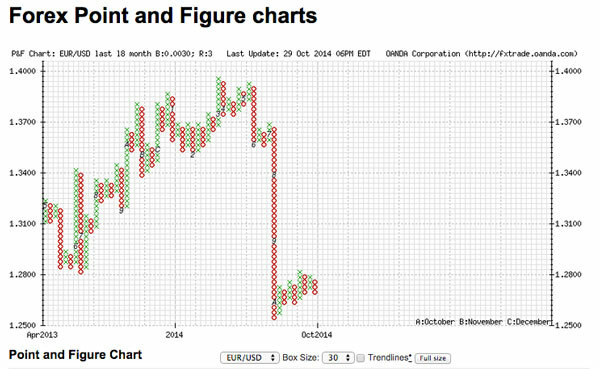 Point and figure charts are useful because they get rid of all the noise of a normal price chart so you can focus on the major trend. The letter X is used for an uptrend and O is used for a downward trend. The last thing I want to show you is the Commitment of Traders report because this is quite a well known piece of information that traders look at. The Commitment of Traders report actually comes from the CFTC (commodity futures trading Commission) and it’s released every Friday at 3.30 Eastern Time. And I go into a bit more detail in this post. The COT report reflects the total positions held by 3 types of trader: commercial traders like producers and corporations, non-commercial traders like hedge funds and speculators, and non-reportable traders, typically smaller traders. A lot of traders look at this information to help their trading process. So if we look at this chart for the euro for example we can see that the euro (represented by the yellow line) starts to fall just as net non-commercial positions (in blue) turns negative. Overall, if you like to trade forex, I think you can find some pretty nice trading tools on Oanda. And also make sure to try out the demo account. This is a practice account that starts with 100,000 dollars. So you can practice any number of strategies and ideas without risking any real money. Unlike other brokers, which only allow a demo for a month or two, the Oanda practice account has no time limit. The Bloomberg Professional Service used to be known as the Bloomberg Terminal and it’s the industry standard software among the big hedge funds and banks. However, the cost runs into the thousands so most retail traders rely on cheaper alternatives. 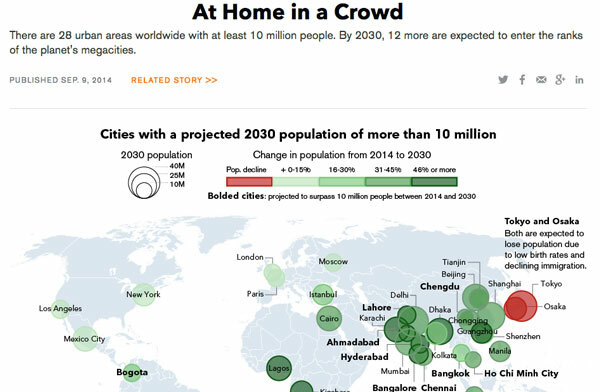 If you’ve never been on the Bloomberg site, you should take a look. There’s a great deal of content but the homepage will generally have the top stories that have moved markets as well as some editorial pieces and some market updates. 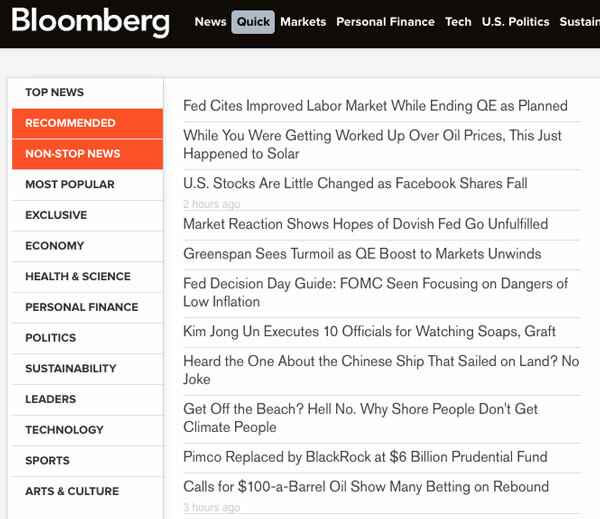 If you want opinion, you can scroll down and select Bloomberg View. And we can read lots of different opinion pieces on there on different subjects; from technology to Asia to Wall street. It’s also possible to listen to Bloomberg Radio and watch Bloomberg TV and you can do so straight from the Bloomberg home page. The one thing you can guarantee when you use Bloomberg is that the prices will be as accurate as you’ll find anywhere else so that’s one major benefit. 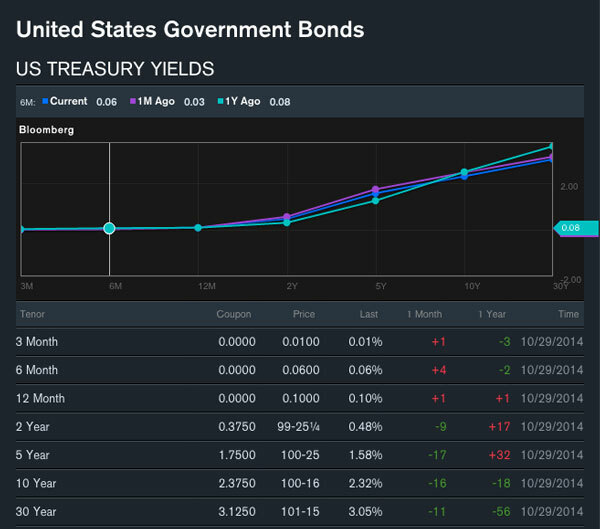 The other important thing you can check on Bloomberg is the yield curve which is the difference between short term and longer term Treasury yields. 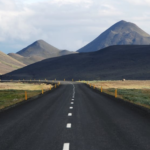 In a normal environment, long term rates should be higher than short term rates, since investors should be rewarded for investing for a longer time. So if the yield curve’s flat or inverted it indicates fear and a negative environment. But Where Bloomberg really excels is in it’s depth of news coverage. One of the most useful feature can be found by clicking on Quick News. By using the panel on the left you can quickly switch between top news stories, recommended, non-stop news and more. And by clicking on non-stop news you’re able to see an updated list of all the most recent stories. StockTwits is basically Twitter for stock traders and it’s a great tool for keeping up to date with the market and events. The front page of StockTwits looks very much like Twitter. Most of the page is taken up by the live stream. The difference of course is that on Stock Twits the stream will be all about stocks and trading. Like Twitter you get 140 characters with which to make your contribution and when you do, you can set it up to go to Twitter as well. It’s a good idea to dive in and start following a few people and see what they are saying. So what are the differences to Twitter? Well, StockTwits revolves around the use of the $ TICKER tag. So, to share an idea about a particular stock you simply type the $ sign and then the symbol. For example, $AAPL for Apple. Doing so means your tweet contributes to the discussion surrounding that stock. It also means it will show up whenever someone searches by that ticker. For example, if I’m feeling bullish about Apple shares I can make a quick comment, include the ticker symbol and share it. I can confirm whether I’m bullish, bearish or neutral and I can share it to Twitter, Facebook and LinkedIn too. Once the tweet is sent it goes into the StockTwits atmosphere for others to read, like or ignore. So how can you use StockTwits? Well there are several possibilities. The first thing you’ll notice is the ticker bar at the top. So this tells you what stocks are trending. Or in other words, which stocks are being talked about the most on the site. You can easily click into any of these and see what’s going on by looking at the live streams. You can also search by ticker or username. Doing this brings up all the comments and tweets that are being sent about that particular stock. But there’s much more we can do and the heat map is a useful tool. First of all, the heat map shows which sectors people are talking about like technology and healthcare. Clicking on PEOPLE shows which users are gaining in popularity. 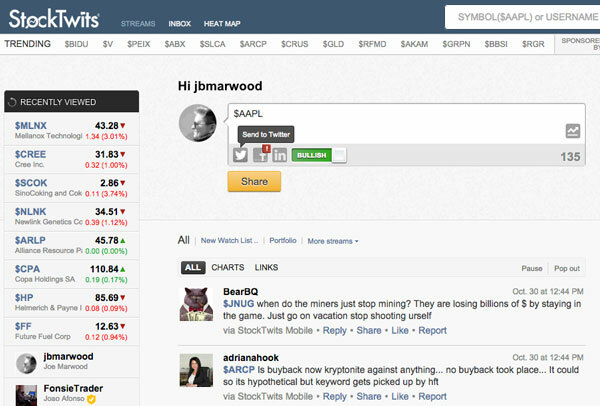 Lastly, clicking on stocks shows how stocks are moving based on social volume. Here we can see that over the last 24 hours Visa Inc. $V has been gaining in social volume the most. You can change it to see which stocks are losing in popularity too. You can also change the settings to look back over 1 day, 30 days or 90 days. Then, if we click into Visa we can drill down into the stock and see what people are saying. 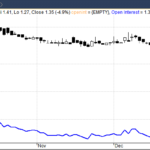 We can see just how the volume of messages has spiked and we can see the overall sentiment on the stock. In this case, 91% of stock tweets have been bullish. Whether or not you think that means anything is down to you. You might see a large number of bulls as a sign to go long. Or you might act on it as a contrarian signal and go short. And there are more options to use StockTwits if you combine it with Twitter and the free tool TweetDeck. People often ask what’s the best way to get started in trading and investing. Well, you should definitely read some books and you should take a couple of courses. But really, the best way to learn is to jump in and start trading for yourself. And the best way to do that is to start off with a paper trading account. Good paper trading accounts simulate the live market and allow you to practice your trading strategies without risking any real money. There’s lots of paper trading accounts out there and some are better than others. I’ve tried a few of them and I’ve found the best are ThinkorSwim and Wall Street Survivor. 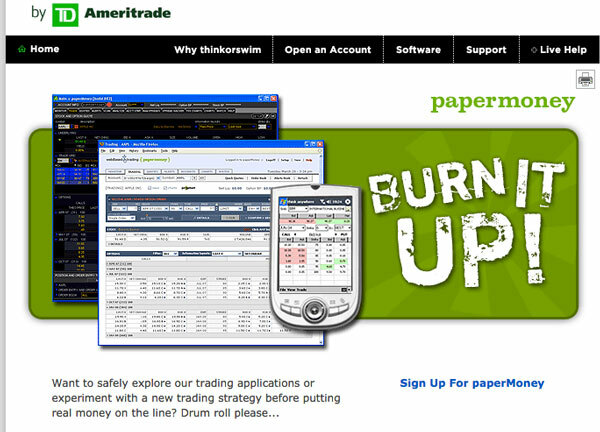 The ThinkorSwim platform is provided by the broker TD Ameritrade and the paper trading account is almost identical to the real-life one. To get started simply head over to the Think or Swim Paper Money site and sign up for a free account. Make sure to put in a real email address as you TD will send you an email with a link to download the platform. You can then download the platform straight to your machine and begin trading $100,000 of paper money. The Thinkorswim platform opens up with a homepage. This gives a quick overview, where you can watch CNBC and get quick access to a few features such as the forex market, heat maps and fundamentals. Close this window and you’ll get to the main platform window. The main platform consists of the sidebar on the left and then the main window. And the sidebar consists of things called Gadgets which can be switched around and customised. This first widget ‘Account Info’ shows your account and how much buying power you have. The second shows a live news feed which is gathered from Dow Jones Newswires and this third one allows you to watch the actual trading price of a particular market. Below the ‘Quick Quote’ gadget is the ‘Portfolio’ and here you can add a collection of markets or stocks to keep an eye on. Simply click on the little COG icon and then click new watchlist. Then add the tickers you want to keep an eye on and hit save. Another nice thing you can do here is to click on the cog again and use one of the in-built watchlists. For example, you can bring up a watch list of the top 10 % gainers on the New York Stock Exchange or the Nasdaq. Or a watchlist of banks or technology companies. Moving over to the main window, you can see that this is set out into tabs. 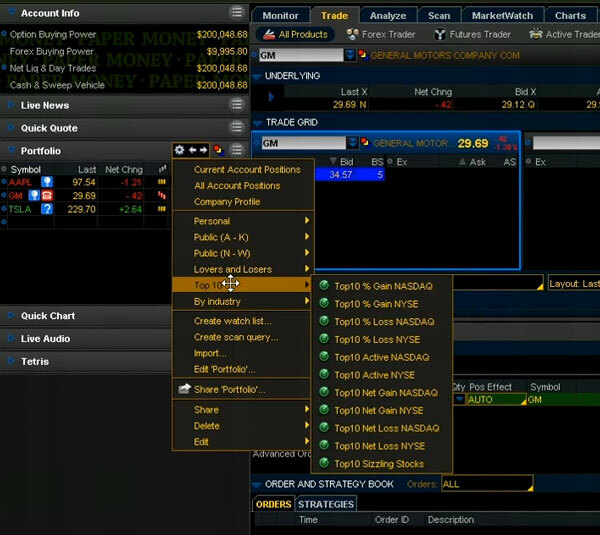 The first tab, called Monitor, allows you to see your positions. Whether you have any working orders or trades filled in the market. The second ‘Trade‘ tab is the main window to do all of your trading. So, here you can click on all products (top left) and trade whatever symbol you type into the main search field. That will bring up the quote and you can then buy or sell by clicking on either the bid price or ask price. For example, if we type in the ticker for General Motors and click on the ask price we can bring up an order form for buying the stock. In the above example, I’ll set up a trade to buy 100 shares of GM stock. I’ll set the price I want to trade and I’ll make the order a limit order, since I want to trade at the price I specify and not any price that’s available. At this point, if you want to add a stop loss, you can change the order to Stop Limit. This will let you add a stop loss below the market and submit alongside the normal limit order. There’s also other order options for more advanced trading. In fact, clicking on ‘Advanced Order‘ opens up more possibilities. As you use the Thinkorswim platform you’ll see there are more trading options available under the different tabs. Trading forex and futures under the ‘Futures Trader‘ tab is pretty straightforward. You simply click into a square and click buy or sell and that will bring up the same order form just like before. You can change the market in the small grey box. What we can look at now is the Active Trader tab. And this brings up direct market access for the market you choose and is useful for shorter term traders. There’s a chart on the left, which we can change the timeframes for and we can also add different studies such as moving averages and Bollinger Bands. In this Example I’m looking at the E-mini S&P 500 future and this represents the larger index but allows smaller trading sizes. To make a trade we can move over to the market access on the right hand side and enter a trade directly onto the ladder. If we look at the ladder, the yellow highlighted price will be the price that the market is currently trading at. The left, green side is used to make buy trades and the right red side is used to sell. The column on the far left indicates the volume at various price points. We can also instruct the platform to send our order straight to the market, without the need for a confirmation window. So if we want to buy the market using a limit order, we simply click on a green box anywhere below the current market price. And If we want to buy the market using a market order, we simply click anywhere above the current market price. That will get our order straight into the market at the best price available. Holding down the CTRL button cycles between a limit order and the stop order. 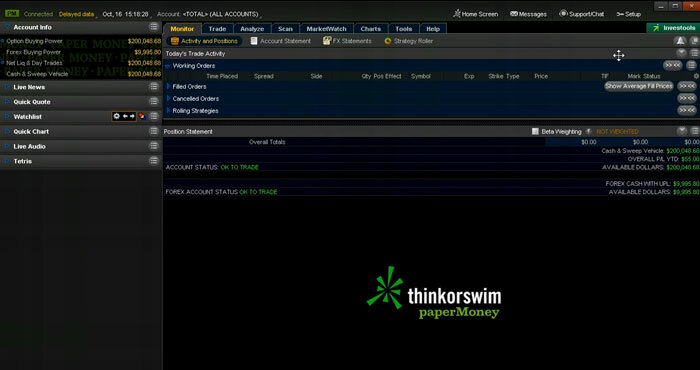 So that’s a quick overview of the ThinkOrSwim platform. There’s a lot you can do and it can be confusing at first. My advice would be to come up with your strategies first then go into the platform to try them out. Otherwise you’ll spend a lot of time using the platform to come up with ideas which may not be the best route. 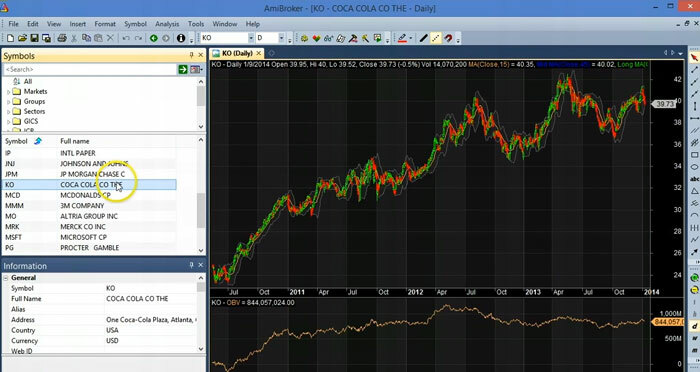 If you’re interested in creating mechanical, technical based trading systems, Amibroker is a good choice. The software is extremely flexible and affordable and there’s a free trial you to try out the platform. 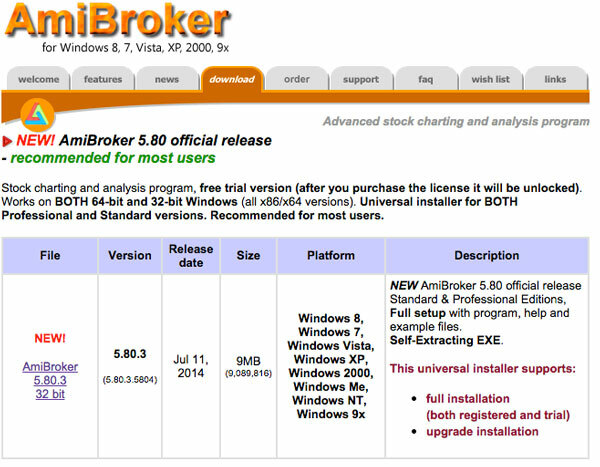 To get started, head over to Amibroker.com/download and download the latest program. You can also download a program called Amiquote here and with this program you can import free historical Yahoo stock data into Amibroker. It’s this data you can use to try different trading systems. So there are some limitations to the free trial. You can only use the software for 30 days. You’re also limited to only trading 5 tickers at one time. And, you can’t save any changes you make to the platform or the charts. But let’s look at what you can do because it is possible to do some interesting stuff just with the trial. So the first thing we can do is take a look at the default Amibroker database which loads up automatically on the trial. And as we can see from the symbols pane on the left we have around 30 major stocks from the Dow Jones index already loaded in the database. And the data goes back by about three years. The first thing we can do with this data is to just check out the charts and look for any price patterns. 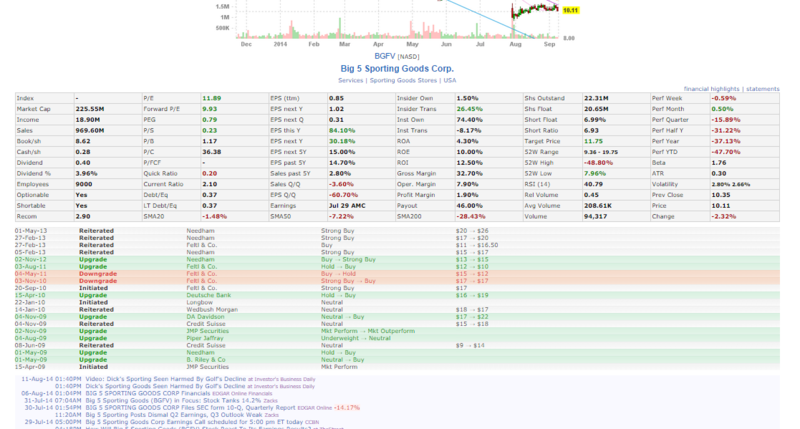 We can also add a whole range of indicators by bringing up the Charts pane on the left. We’ve got a folder called Averages and this is a selection of all sorts of different moving averages. In Bands we have Bollinger Bands and percent bands and then we have loads more technical indicators in the Indicators folder, such as the Average True Range (ATR), RSI etc. This is underneath Basic Charts. 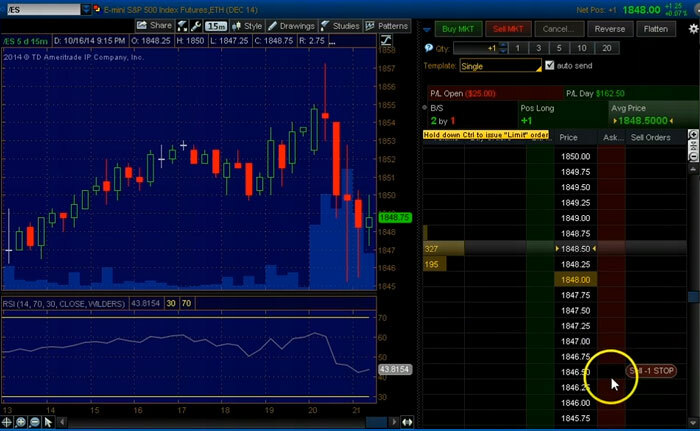 To load up an indicator into the price chart you simply double click or drag it into the chart window. To remove an indicator simply right click on the chart window and move down to delete indicator. The other thing we can do in Amibroker is create custom indicators and to do this we need to learn a little bit of AFL which stands for Amibroker Formula Language. Thankfully AFL isn’t all that difficult to pick up compared to some programming languages. So how can we create a trading system in Amibroker? Well it’s actually quite simple. Simply click into the Analysis window icon This is where you can bring in trading system code. 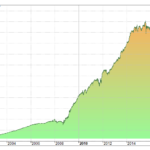 And actually if you’re looking for some example trading systems, my course, How to Beat Wall Street, comes with 20 Amibroker trading systems ready to go. So, in the main analysis window we need to create a trading system and Amibroker has already set one up for us called Example. If we click the Folder icon we can bring it up and test it on the market. In the example, the trading system buys the market when the MACD crosses it’s signal and it sells when the MACD crosses under it’s signal. This is an end-of-day system and trades are entered on the next day open (which is set by the use of the trade delays function). Setpositionsize is set at 25, so in this case the system will use 25% of our capital to make the trade. So once you close that window, you just change the dates to All and change which stocks to trade to All Symbols. 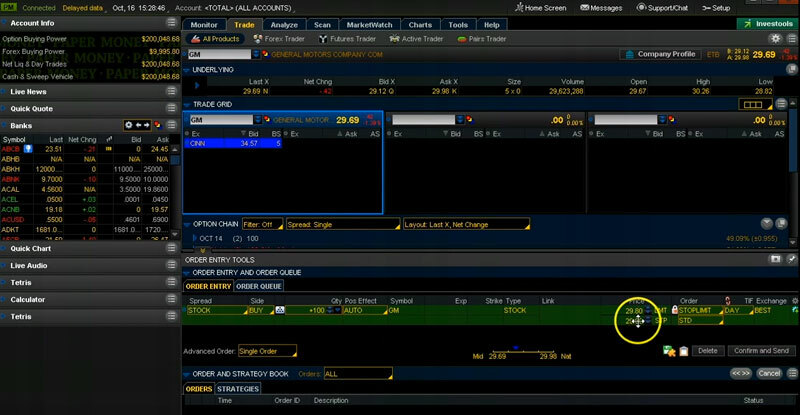 Click on the Backtest button above and then Amibroker runs the trading system over the data. We can then click on the Report icon to see exactly what happened. And in this case, the system didn’t perform so well since it’s just a very basic MACD system. Obviously there’s a lot more that can be done with Amibroker and this is just a very quick run through. But it’s well worth downloading the trial and seeing if it’s something you might be able to work with. Thanks for sharing its really helpful – Rest of above there are other platform also whao provide the same, Like – Investing.com and Advisorymandi.com provide 235+ SEBI Registered Analyst on single platform who can put their call which are really helpful for investors.